I've never played Two Truths and a Lie before. And since it's the Friday of Labor Day Weekend, I figured why not do something a little different. I approached Derek Jeter at a club on a dare, unaware of who he was. I walked by Johnny Depp on the street and had no idea it was him. I believe Fifty Shades of Gray is grossly underrated. A Tree Grows In Brooklyn was the first book that inspired me to write. I read Chances by Jackie Collins when I was in the 4th grade. I cc'd President Obama on a letter to the DOE regarding The Boy's services. I believe in the New York City Public Education System. I saw The Boy's teacher doing shots at a bar after she ran out of his Annual Review Meeting because she was sick. Got 2 out 3 right?! CONGRATULATIONS! YOU WIN! I'm sorry. You don't really win anything except a GREAT JOB! YOU WON! YAY! The Boy has been bugging us the last few weeks for this toy. The Husband and I tend to spoil The Boy. But this time, I was going to stand my ground. This time, The Boy was going to wait until Christmas. The Husband ordered it on line so that we would be sure to have come Christmas. But The Boy kept asking. And we would say, "Not today." Then the other day, we finally said, "No, you have to wait until Christmas." And do you know what The Boy did? So I am sure you know what we did. Do you know the story of Sisyphus? Sisyphus was this guy condemed by the Greek Gods for all eternity. His punishment? To roll a huge bolder up a mountain. And just as Sisyphus reached the top the bolder would come rolling back down. It was an endless and unavailing task. Some days I feel like Sisyphus. Day after day, doing the same things. All. Day. Long. Laundry. I can't remember the last time I saw the bottom of my laundry bin. When I'm not washing, I'm folding. When I'm not washing or folding, I'm putting away. And when I'm not washing, folding or putting away - I'm sorting. Laundry is a four step task that really never ends. Dishes. I don't have a dish washer. I could easily washes dishes 2 to 3 times a day. 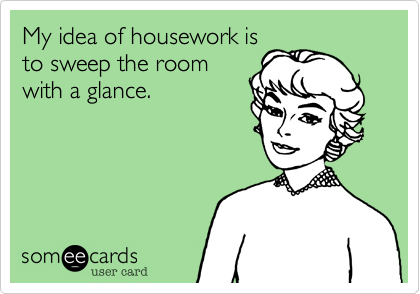 And just when I walk away from the sink, I could walk into another room and find a stray dish or cup. Making the bed. The Boy has this thing about getting in the bed after it's made. I make the beds walk out of the room and when I return, he's either all snuggled up in one of the beds or he's made a snuggle and run. Picking up LEGO bricks. I'm always picking up a LEGO. They just appear out of nowhere. Especially at 2am when I'm stumbling to the bathroom. Cooking. Because they have to eat. Putting down the toilet seat lid. I'm the only lady in my house. I don't think any amount of discrete trials can eliminate this behavior. Paperwork. This may be a special needs mom thing but the paper can become insane. And this isn't something I do all day, every day but it still belongs on this list. There is always a form to fill out. And it's always the same questions. And after you fill out a 5, 10, 15 page form. You will be asked the same questions. I wish there was just one form that we can carry around on a flash drive or some kind of recording that I could share or play. What are your never ending tasks? In 23 more days, I will be 37 years old (um, not like I'm counting or anything). The Husband likes to tease me and say, I'm on the wrong side of 30. I suppose I am. I will be another year closer to 40. Slowly approaching mid-life. I don't care about my age. I've never been one of those woman who wants to be twenty two forever. In many ways, I look forward to the years ahead. From a personal stand point - I have so much to still look forward to. But in the last year I've had to think about things like life insurance, living wills and special needs trusts. I'm not old now. But one day, I will be and I worry about the day when I cannot care for The Boy. I worry about that day more and more. The choices were: optimistic, angry, prepared or uneasy. In case you don't know, my answer was (and still is) uneasy. 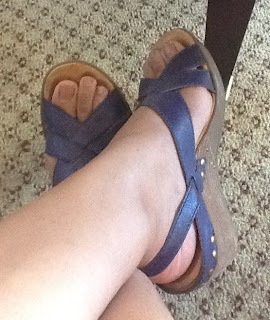 Check out what other BlogHer12 attendees said about getting old -- HERE. Based on collected data from the general public 30% of people feel optimistic; 28% feel angry; 11% feel prepared and 30% feel uneasy. So it's nice to know I'm not alone. Pfizer wants people to face the inevitable - we will all get old. The www.GetOld.com site not only provides useful information about aging but also invites people to share their thoughts about getting older. And to add to the Get Old conversation Pfizer has partnered with: Alzheimer’s Association, Easter Seals, International Longevity Center at Columbia University’s Mailman School of Public Health, Men’s Health Network, National Alliance for Caregiving, National Black Nurses Association, National Coalition for Cancer Survivorship, National Consumers League, National Family Caregivers Association, Patient Advocate Foundation, Society for Women’s Health Research, Visiting Nurse Associations of America, and WomenHeart: The National Coalition for Women with Heart Disease. Getting older isn't a subject many people want to talk about. It's a subject young people don't think about. 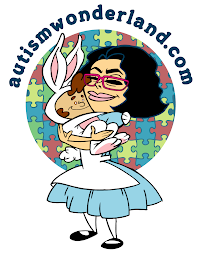 Andi t's certainly a subject parents of special needs children constantly worry about. But the more we talk about it now, the better off we'll be. The healthier we live now while we're young, the healthier we will be when we are older. It's time to make some changes in my life. I want to be in the groups that feel prepared and optimistic. Would love to know - How do YOU feel about getting old? When a parent hears the words, "Your child has autism," for the first time - one of their first instincts is to run to the closest book store and buy every book possible. That was my first instinct. 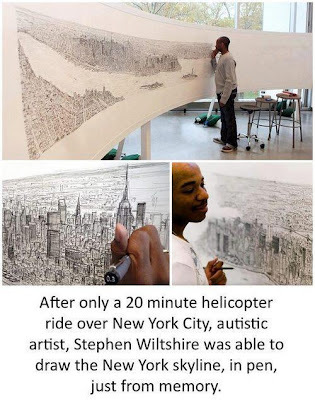 I wish An Early Start for your child with Autism was around when The Boy was first diagnosed. Written in clear and simple language, An Early Start for your child with Autism is a step by step guide for parents to promote critical social and emotional skills. It's informative without being overwhelming. It addresses sensory, socialzation and speech. An Early Start for your child with Autism is filled with helpful tips, goals, activities and checklists for capturing attention, building interaction and encouraging communication. 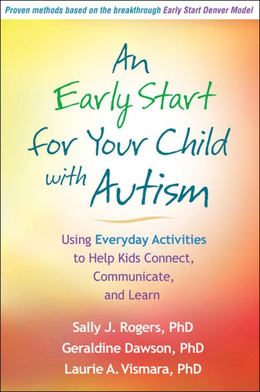 An Early Start for your child with Autism is a great book for parents of newly diagnosed children entering Early Intervention and even for parents of slightly older children. However, Drs. Rogers and Dawson don't want to turn parents into therapists. "Rather, these strategies are meant to be used during the normal routines that are part of your daily experience, like bath time, at the park, or while putting your child to bed." I found the It's Playtime! chapter especially helpful. The activity checklist: Am I Teaching My Child to Play Flexibily and Independently? reminded me to rotate toys over time to sustain his interest. 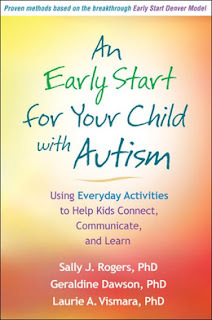 An Early Start for Your Child with Autism is the book I would tell any parent of a recently diagnosed child to run out and get. It's the kind of the book you'll read and return to again and again. I was one of those girls who always loved makeup. I wanted pink cheeks, red lips, eye lined eyes and long black lashes. I believed makeup made you beautiful. 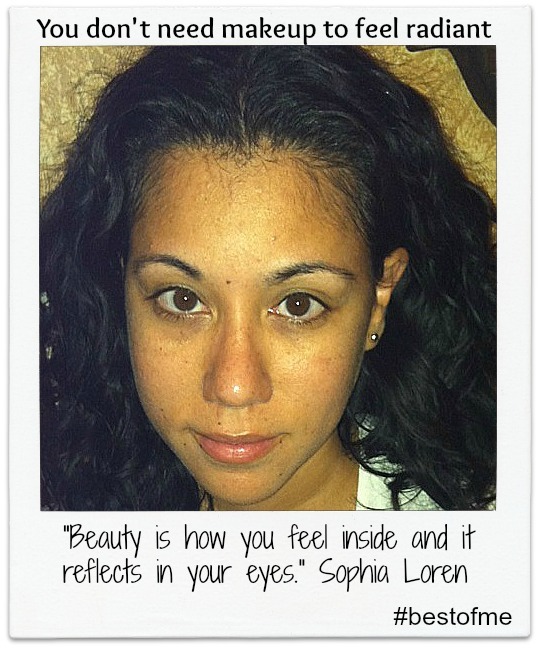 My mother didn't feel the same way and forbade me from wearing make up until I was sixteen. She believed in natural beauty and less is more. I took my mother's advice. As I started wearing makeup, I wore it sparingly. A little lipstick, maybe some mascara. I wore it for want, not out of need. As I got a little older, makeup became something I wore daily. And in my younger years, I never put much thought into my skin care regimen. I didn't use sunscreen. I didn't moisturize. I went to sleep without removing my makeup. Like most young women, I took my skin for granted. In less than a month I will celebrate another year - my 37th. I've noticed that my body is changing. My skin is changing. I even found a strand of gray hair. But those are superficial things. It's how I feel about me. I can't stop getting older. And I don't want to, I love and appreciate the knowledge that comes with age. But that doesn't mean I want to look older than my age. It's been years since I've taken my skin for granted - especially after my mother had skin cancer. I want my skin to be a reflection of how healthy and radiant I feel. I wash my face twice a day and moisturize daily. I've started wearing makeup with SPF. I drink lots of water and I get as much sleep as I can (okay maybe I'm not so successful with this one). I take days off from wearing makeup to let my skin breath. And on those makeup free days, I feel just as confident about how I look. I feel good about my age. I am proud about the things I've done. I feel good about the path I'm on. I am happy and content with the life I have made and all the people in it. I don't want to use makeup to hide my skin and I don't want to need makeup to feel beautiful. Don't get me wrong. I'm still a gal who loves red lips and long lashes. But I've also learned that those aren't things that make a woman beautiful. That's why, I excited to partner with Neutrogena and share their new line of moisturizers called Rapid Tone Repair. Neutrogena understands the common complexion concerns so many women have. In a recent survey conducted among one thousand women over 18 years of age in the US, including Latinas, 49% of Hispanic women reported having uneven skin tone or dark spots and admitted this represented their top skincare issue. o Neutrogena's new line of moisturizers called Rapid Tone Repair leverages the power of Accelerated Retinol SA and Vitamin C, a powerful antioxidant, to help return our complexion into a clearer more even canvas. o Neutrogena Rapid Tone Repair is a lightweight silky moisturizer that absorbs quickly into skin and is clinically proven to help fade the look of dark spots, and discoloration, delivering fast results and healthier looking skin with minimal irritation and superior aesthetics. My relationship with Carmen (aka my mother) hasn't always been easy. I am quite certain Carman can say the same about her relationship with me. But I love her and would be completely lost without her. And she is a wonderful Abuela to The Boy (you can read about their relationship HERE). There was a time in my life when I said I wanted to be nothing like her. And now I spend most of my days trying to be half the woman she is. These are few things I've said, thought or done that remind me slowly but surely, I'm becoming my mother. Why are there 4 boxes of cereal open? And don't let there be more than 2 kinds of juice open in the fridge. The other day I was out walking with The Boy and he asked for ice cream from the ice cream truck and I said, We have ice cream at home. Neopolitan to be exact. It was the only flavor my mother would buy. I used to hate it. And when I bought it the other day, I cursed myself at the check out counter when I made the connection. Speaking of check out counters...If I realize something is not on sale as the cashier is ringing it up, I decide I don't want it. When out shopping, I find myself looking at labels. If I see dry clean only - I immediately put back on rack. I have to really really really love something to buy something that is dry clean only. That's not the way I do it. I walk around the apartment turning off lights and appliances like a mad woman. What do these people think, I'm sleeping with the Con Ed man? I reuse paper towels whenever possible (and also zip locks). And don't throw away that (paper/plastic) bag, that's a good bag. Dios Mio, ¡Ayúdame! or ¡Qué jodienda coño! I don't even speak Spanish but if you heard me say either of these phrases, you'd swear it was my first language. 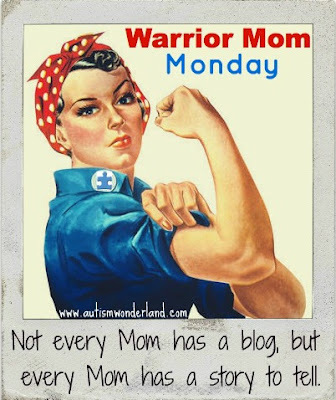 When do you do, say or think that makes you realize you've become your mother? I can easily recall all of my short comings and failures. But when asked of my accomplishments, I need to think. They do not come as easily. The stuff that I do for The Boy. I don't chalk that up to much. I don't do anything special. I just do what needs to be done. Then the other day I read a post by The Empress (Good Day, Regular People). She called it "Hero Stories." She talked about one of my favorite movies and then shared a forgotten story about her son. A day when she was his hero. Then she asked her readers to share a time when we were heroes. And it reminded me of the time when I had to file for an Impartial Hearing. If you recall, The Boy didn't have the best start to Kindergarten. It sucked, actually. I can say that now that he's out of that school. And he basically failed. 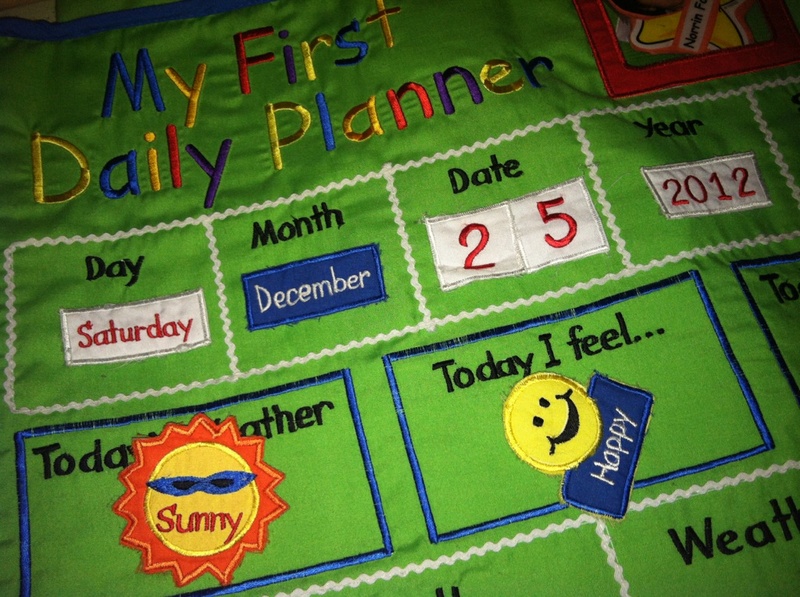 When The Boy started kindergarten, there was no Occupational Therapist (OT) at the school. Even though, the school principal and vice principal assured me there would be one. Even though the program stated that the OT was a critical member of the team. The Boy is a highly sensory seeking kind of kid. I never would have placed him in a school without an OT. By the second week of school, I was at odds with the school. They didn't like me and I didn't like them. I asked too many questions and I had been told several times that I should "relax." That's easy to say when it's not when it's not your kid. I was paying out of pocket for private OT services - $150 per 60 minute session. The Boy's IEP mandate required 90 minutes per week. By mid October, the school was still without an OT and I was running out of money. So I asked the assistant principal to provide an RSA letter so that I didn't have to continue paying for services. The assistant principal's response? "I've done all that I can do. 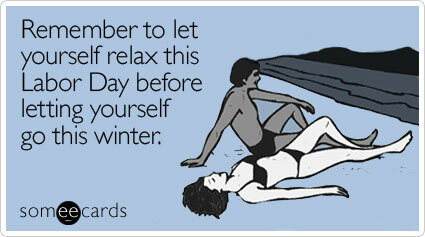 Call 311." 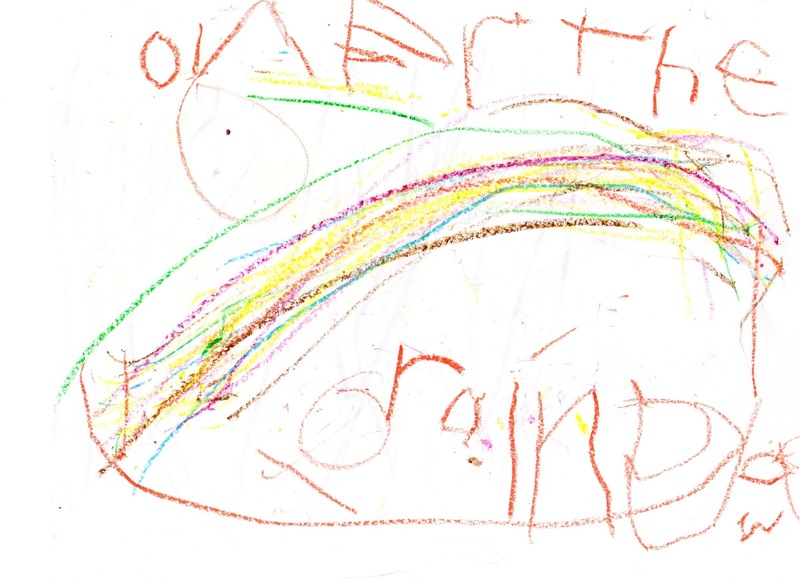 Three weeks, one meeting (with 8 people), five emails, seven phone calls and over $1,000 (amount of money spent on OT services) later - we received an RSA letter. Fast forward to February. The Boy's school situation was getting worse and I knew he couldn't go back for a second year. I was touring schools and scheduled a free consultation with a special education attorney. When I told the attorney about paying out of pocket for OT services, she stated I could sue for reimbursement. In my mind it didn't make sense to pay attorney fees for such a small claim. So I filed for impartial hearing on my own. I filled out the forms, stated the facts and gathered my evidence. I even wrote my opening statement for the hearing. And on the day of the hearing, the Dept of Ed rep didn't even contest the claim. He knew the school was failing The Boy. There is a lot of talk about special needs kids being bullied in school. But parents have to deal with bullies too. Department of Education bullies. I believe The Boy's school tried to bully me. They tried to bully me thinking I'd back down and pull him out. The bullied me by saying I was the problem. They bullied me thinking I'd go away. I didn't. I fought back. I never gave up. I stood up for The Boy. The Boy's school failed to provide him with a Free Appropriate Public Education. I could have let it go. I could have been happy with securing the RSA. But I couldn't. In the end, it wasn't so much about the money. It was the sheer principle. And winning that case gave me the courage and confidence to keep fighting. And by the end of the school year, I had no choice but to file for impartial hearing again so that I could get him out of the school. And you know what? I won that case too. But that's a post for another day. The Boy doesn't need to think I'm his hero. He just needs to know that I believe in him enough to keep fighting like one. *DISCLAIMER: I did consult with an attorney and Advocates for Children regarding the process. Do not take this post as legal advice. If you have an issue with your school and/or services, consult with an attorney or special education advocate immediately. A few Sundays ago, we went to The Intrepid Sea, Air & Space Museum Complex . And we got a chance to see the Space Shuttle! The Intrepid paired with Autism Speaks to host an Access Family Program - a special 2-hour program that includes educational story-telling and art making activities led by Intrepid employees. The museum opens earlier for families affected by autism and are provided tours in small groups. The tour guides are patient and understanding. They provided the families with prompts of what was going to happen next. Upon entering the Space Shuttle pavilion, the tour guide warned of the slight pop we'd get in our ears. The Boy had a blast! The Husband and I had a blast. We took a bunch of really cool pictures. Especially of the Space Shuttle. But a picture just doesn't do it justice. It's something you need to see in person. Whenever someplace offers a sensory friendly program for special needs families - we always make it a point to attend. Often because of crowds and noise, we avoid these kinds of activities. So to have these kinds of opportunities in our amazing City of New York is extremely important. It gives us confidence to venture out on a Sunday morning. We don't have to worry about who's looking because everyone around us, gets it. It allows us to go out and have an enjoyable, stress free family outing. What sensory friendly activities are there in YOUR city? 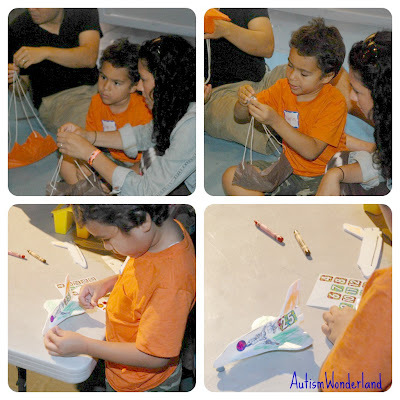 We made parachutes & a space shuttle! 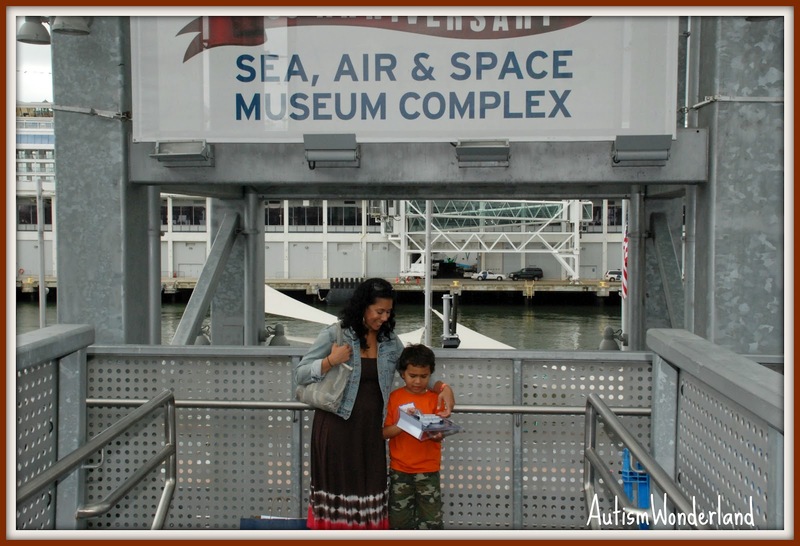 The next Family Access Program* at The Intrepid will be on Sunday, August 26th (9AM-11AM - Take Flight!). For more details click HERE. *This program is free, but space is limited. 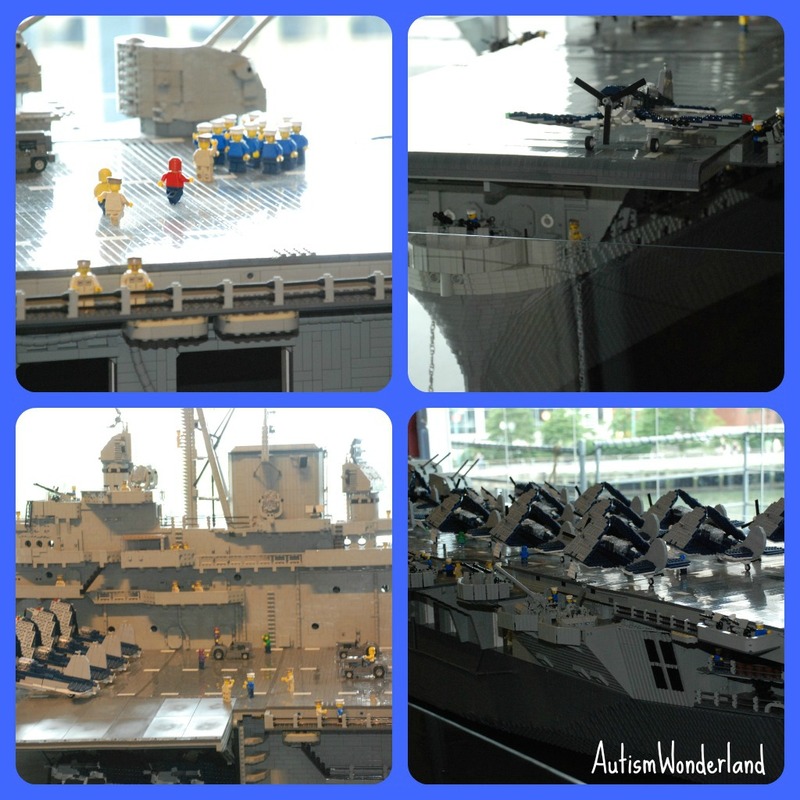 To register, please contact access@intrepidmuseum.org or 646 381 5163.